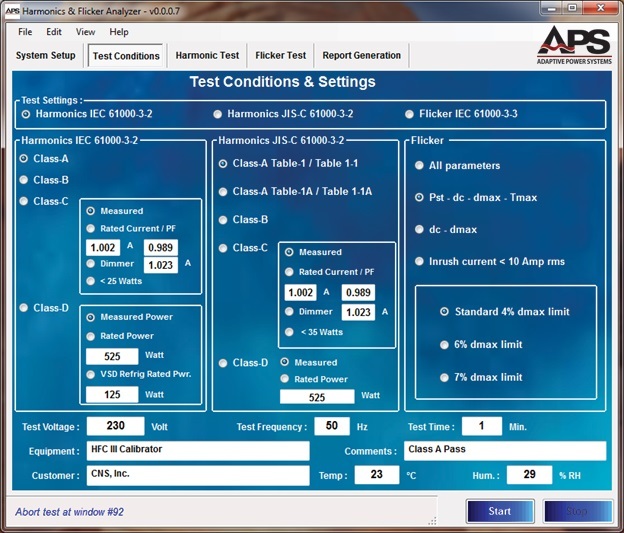 Now in its second generation, the ADAPTIVE POWER EMC Compliance Test Systems use a greatly enhanced harmonics and flicker measurement system and newly designed flicker impedance options to support single and three phase AC harmonics, flicker and AC and DC immunity compliance testing up to the maximum required current of 75A per phase. 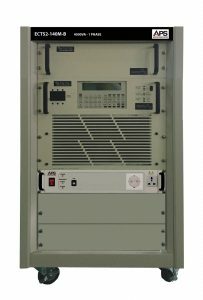 This series consists of several system configurations to accommodate both single and three phase compliance testing at a wide range of power levels. 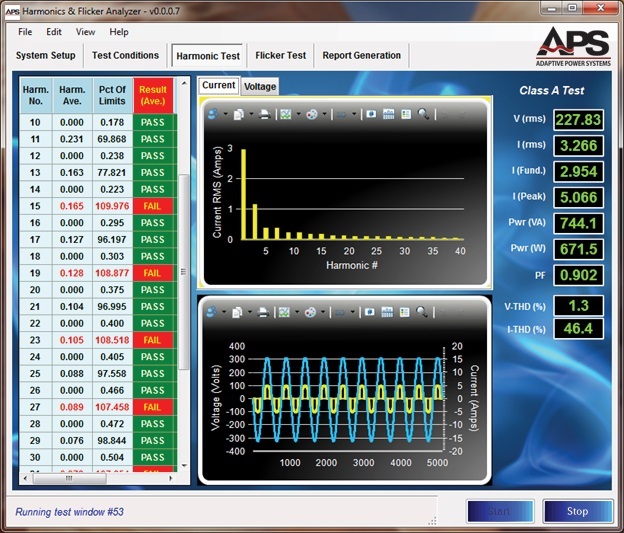 All ECTS system use the same Harmonics and Flicker Emissions and IEC 61000-4 Immunity test software. For questions regarding the ECTS Series, please contact us. The ECTS EMC Compliance Test System allows EMC labs to perform full compliance testing of products to the following IEC standards. The ECTS systems provide a comprehensive and cost effective solutions for all of your EMC compliance testing needs! MODEL RATED POWER (VA) OUPUT FORM FREQUENCY RANGE (HZ) OUTPUT VOLTAGE MAX (RMS) OUTPUT AMPS (RMS) OUTPUT VDC MAX. OUTPUT ADC MAX. 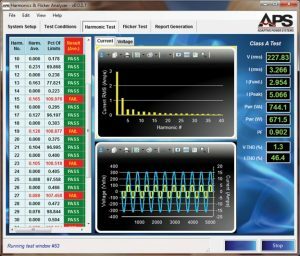 The ECTS2 Harmonics and Interhamonics measurement system and associated EMC Software suite meets all requirements for compliance testing to these Harmonics standards. The ECTS2 Flicker measurement system and lumped flicker impedance meets all requirements for compliance testing to these Flicker standards. 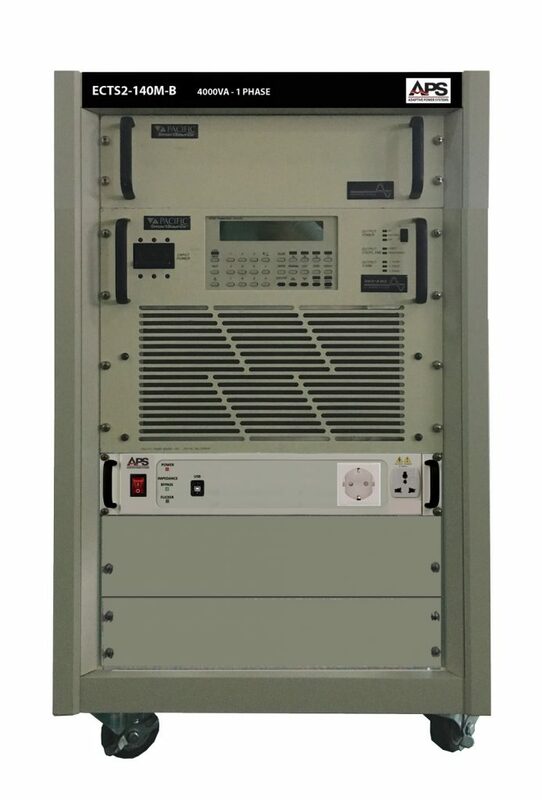 When combined with the optional EPTS Power transfer switch, the ECTS2 test system meets the requirement for AC and DC Voltage Dip testing. Optional Inter Harmonics Generator for AMX based ECTS2 systems supports testing to IEC 61000-4-13. AC immunity tests support for these standard available on AMX based ECTS2 Systems. AC and DC immunity tests support for these standard available on AFX based ECTS2 Systems.